When Mexican people sit down to watch televised sports, the food they eat is considered a part of the category of botana (Pronunciation: boh-TAH-nah). This term can refer to anything from dry snacks out of a bag to appetizer-esque hot items to a full meal served in several small courses. A lot of Americans nowadays already consider guacamole and nachos to be an integral part of their Big Game Day, and there are gobs more wonderfully football friendly Mexican-inspired botanas to be tried. Ooey-gooey, crisp, spicy, sweet, simple, complex, hot, room temperature, and cold—there’s something for everyone on this list. The one thing these recipes have in common? They can all be consumed in front of the television set! Whether the word “football” for you means a game played with helmets and shoulder pads or one that favors short pants and goalies, get inspired to cook a little Mexican for your next friends and family t.v. game day. 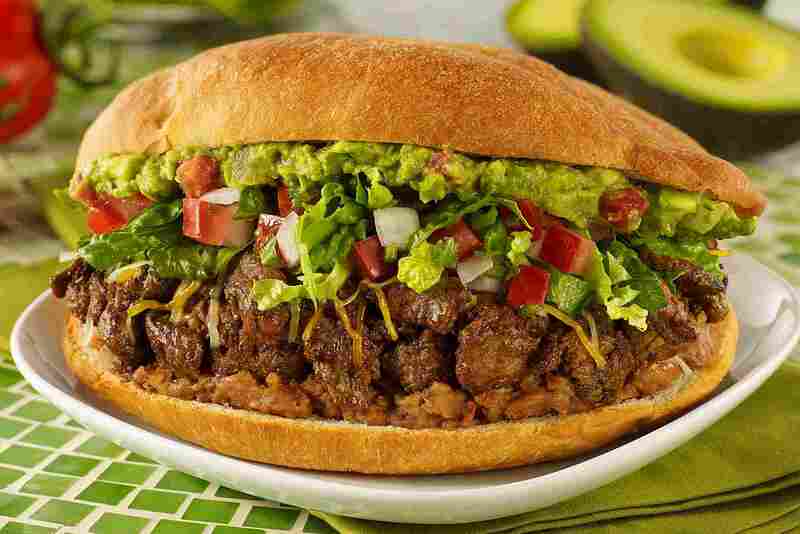 Kind of like a subway, hero, or hoagie, tortas are everyday food in Mexico—and good enough for a sports watch party anywhere! To make one, take an individual-sized loaf of Mexican white bread such as telera, birote, or bolillo, split it horizontally (discarding any excess “fluffy” part), and slather a thin layer of room temperature refried beans on the bottom half — pile on some sliced cold cuts, shredded chicken, or meat. Then, add cheese, thinly sliced avocado and onions, a few pickled peppers. Then, add finely chopped lettuce. Place on a comal or griddle over low heat for a few minutes on each side, pressing down slightly so the torta will be quite compact. Cut in half (to facilitate handling and eating) and enjoy! Peru claims ceviche as its original creation, but nowadays this raw-fish-bathed-in-lime-juice delicacy is enjoyed in distinctly Mexican versions in fishing villages and large resorts up and down both the Pacific and Gulf coasts. Try the standard fish ceviche, one made with another kind of seafood, such as the shrimp ceviche, or even a vegetarian variety such as the vegetarian ceviche salad. Tostadas are the perfect make-your-own dish, so if you have a small crowd over for the game, set up a table with the fixin’s and have each person assemble their own. Queso Dip: Of course! You can't have enough queso dip. Cheese and Fruit: Pair sliced manchego or Chihuahua with grapes or slices of apples. Cheese Tostadas: Spread a thin layer of crema or sour cream onto a crisp corn tostada. Top with some crumbled fresco, Cotija, or añejo cheese and see what deliciousness can come from just three ingredients! Fried Cheese: Use queso fresco or queso blanco. Cheese and Ate: Ate (pronounced AH-teh) is the Mexican name for a thick sliceable fruit preserve common in many parts of Latin America. Guava paste is one form; there are others, made from different fruits. Pair slices of cheese with similarly sized sliced ate (or cut both ingredients into cubes and spear them on a toothpick) for the best flavor combo you had never heard of. Chihuahua, Mexican manchego, or panela cheese is an excellent choice for this botana. Robin Grose. The Spruce Eats, 2017. Need an alternative to the same old beer and soda drinks while watching the game? Tepache comes to the rescue with its refreshing flavor and fermented goodness. You’ll have to plan since it will need to steep for a couple of days or so, but it will be so worth it! Your guests will love both the drink itself and the novelty of your having made it from something which is usually discarded—the rind of fresh pineapple! If you’d prefer something equally as delicious as tepache but not fermented, you can’t miss with one or more of these Mexican aguas frescas. Fruit pico de gallo (not to be confused with the savory salsa-like pico!) is a refreshing sweet-and-sour salad consisting of long slices of various kinds of fruits, sprinkled with salt and powdered chile and bathed in fresh-squeezed lime juice. 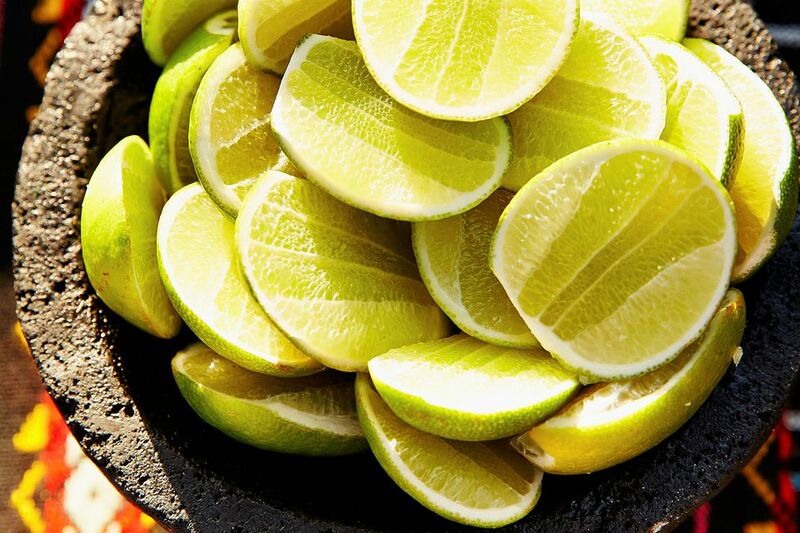 Typically presented in a disposable cup and eaten with the hands or a fork while standing or walking, this quintessential Mexican street food is perfect for consuming in front of the t.v. set, as well. How to Make Fruit Pico: Cut finger-like sticks of barely-ripe cantaloupe, watermelon, papaya, mango, jicama, fresh pineapple, and cucumber, and have guests assemble their combos, topped with salt, lime juice, and hot sauce to taste. Another Option: the surprising (in a good way) and ultra-refreshing Morelian Gazpacho fruit salad. Or go all out and present a beautiful Mexican Christmas Eve Salad, even if December is long gone! The ultimate in "finger food," empanadas can be savory or sweet, and they can be served either hot or at room temperature. These hand-held goodies can be made the day before the Big Game, if you like, and can even be filled with leftovers from other meals! Try beef empanadas or apple caramel turnovers to start with, or peruse these South American varieties. If there is a no-brainer for football food, this is it. Whether they are of the simple cheese-between-two-flour-tortillas variety or the more complex (and flavorful) traditional fried type, quesadillas are fun and satisfying. Keep the filling cheese-only or used your leftovers to make them more interesting and nutritious, but you know you’ve got to make some right when the next game starts! Are nachos Mexican? That’s debatable (and discussed elsewhere), but what is undeniable is their suitability as game day fare. For best flavor, forego the viscous orange “cheese sauce” and make your nachos with real shredded cheese, heating each serving briefly in the microwave or oven to turn it all melty. Leave plain or top with chicken, meat, salsa, olives, pickled carrots, or the ingredient of your choice. Whether it’s your basic simple guacamole or a jazzed up version, don’t just use your guac as a dip; spread it on sandwiches or hot dogs or serve it as a side dish or a topping for grilled meats. Salsa is a whole world unto itself. The classic fresh pico de gallo type of salsa is always well received, but there is so much more out there to be tried! After all, the word salsa is just the general Spanish term for sauce, and Mexican food is all about all kinds of sauces. Try cranberry salsa, avocado salsa, or any one of a myriad of other Mexican table sauces. As for chips, well, buy them by the bag or make your own Totopos!